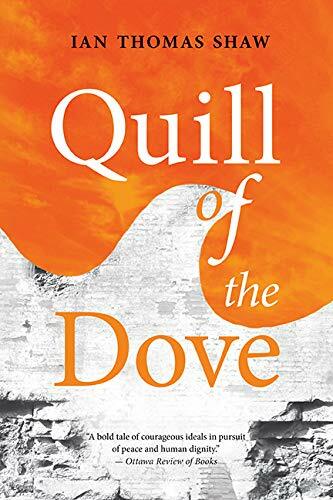 In Ian Thomas Shaw’s political thriller about the turbulent events in the Middle East spanning the last 40-odd years, we glimpse a vision of a rational but ultimately elusive peace-that-might have been . . . if only! Our protagonist, French journalist Marc Taragon, has spent the years since he first went to the region to learn Arabic writing about the conflict and political intrigue in the region. Deeply knowledgeable about the Middle East, and still inspired by his first love, a young Palestinian woman who tragically died in the Sabra and Shatila massacre, Taragon returns and attempts to grasp a fleeting opportunity to broker a private agreement between the warring factions of Palestinians and Israelis. In the small village of Arkassa on the Greek island of Karpathos, he brings together key leaders from both sides to try to achieve a peace pact. These leaders are two old friends he made during his earlier tenure in the region—Abdullah, a dissident Palestinian leader who had been a hero in the resistance to Israel's occupation of South Lebanon; and Bronstein, a left-leaning Israeli journalist, who had once served as a top intelligence officer. The two have had their fill of war, and are willing to undertake the challenge of defying hardliners on both sides to negotiate a far-reaching peace initiative between the Jewish and the Arab worlds and to sell The Arkassa Pact to the international community. A young Canadian journalist, Marie Boivin, who is trying to find out the truth about her father and her childhood, seeks to interview Taragon and along the way gets embroiled in the machinations around this peace process. The intrigue continues to move at a fast pace through Canada, Europe, and the Middle East and reaches a blistering climax and surprising end. The novel's several plot lines are rich and masterfully connected to tell an inspiring and realistic tale, and the characters are well constructed and very real, indeed very human. The historical context is thoroughly researched and it is clear that Shaw, a seasoned diplomat, is able to draw on his extensive experience and knowledge of the region and its peoples. The reader cannot help but be mesmerized as she / he sees the characters in the novel reach toward this peace that might have been, and engage in battle with the in-grown political, religious and tribal forces that are the root cause of all the Middle Eastern instability to this day. One senses that Shaw sees himself as Taragon and wishes that he could have pulled off what his fictional hero comes close to achieving. In this riveting novel, Shaw succeeds in bringing to life for the reader the horrors the inhabitants of this war-torn region have been living through over numerous generations. All in all, a great five-star read! Geza Tatrallyay's most recent book is Twisted Fates (Black Opal Press, 2017). He is a prolific author of thrillers, memoirs, and poetry. He has worked in government, international organizations, finance, and environmental entrepreneurship.